Samsung is getting a lot of buzz this week on the rumor that they will announce collapsable smartphone and tablet at Mobile World Congress next spring, but I wonder just how seriously we should take this report. 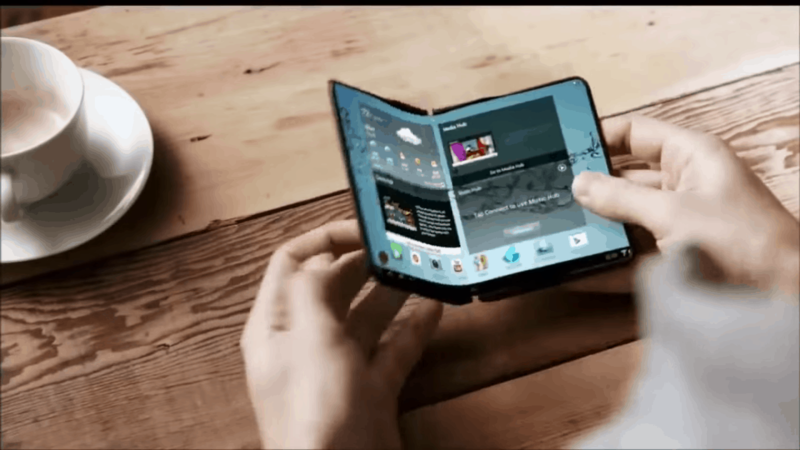 Samsung Electronics Co. is considering introducing two new smartphone models that will feature bendable screens, including a version that folds in half like a cosmetic compact, people familiar with the matter said. The devices using organic light-emitting diodes could be unveiled as soon as early 2017, the people said, asking not to be identified because the matter is private. That would likely give it a head start on new Apple Inc. iPhones. The second Samsung model will have a 5-inch screen when used as a handset, that unfurls into a display that’s as large as 8 inches, similar to a tablet, the people said. You can find the Bloomberg story here (beware the autoplay video). That's a nifty concept video, but at this point there's really not much more to go on. It's three days later, and Samsung has yet to confirm the rumors. One would think that if Samsung had firm plans to announce the new gadgets, they would confirm and get another round of publicity, but instead they are staying mum. That makes me think that the rumors are either false or that Samsung isn't ready to commit to the announcement this far out because they're not entirely certain that the products will be ready. Either way, I wouldn't put too much weight into this rumor.